This metal frame 20X30 party tents is for about 500 people, which is hot selling in the event rental market. 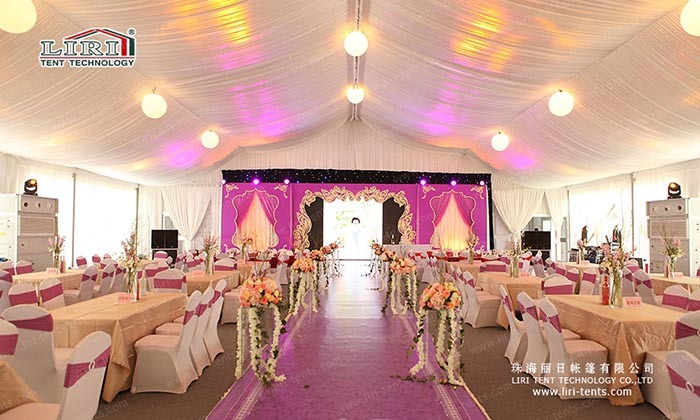 Established in 1997, Liri Tent is the first professional manufacturer who designed own clear span tent series in China. 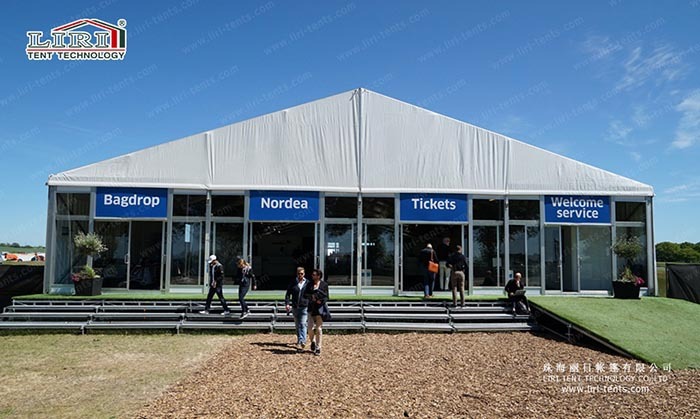 Our main products include gazebo tents, clear span tents, arch roof tents, two story tents, etc. Frame struss: hard pressed extruded aluminum, which can last more than 20 years. No pole inside allowing 100% available interior space. Covers: white cover, colorful cover, clear cover, inflatable roof cover. Windows: dome or square clear PVC windows, mesh window, glass window for glass wall. Wooden Flooring System: cassette flooring, ringlock scaffolding flooring. Doors: double-wing glass door, single-wing glass door, aluminum door, a rolling shutter(automatic or manual). Wall: PVC fabric wall, glass wall, ABS hard wall, sandwich panel wall, steel plate wall. Rain Gutters: inner roof beam rain gutter or rain gutter between two similar tents. Other Optional Items: tables and chairs, lighting, air conditioning, carpeting, installation tools, etc. If you like this 20×30 tent for sale and other more, just SEND your detailed product inquiry below. We will get back to you as soon as possible.